I've been waiting on the release of these pretty pastel scented polishes like a lot of Models Own lovers have been. These came out a few weeks ago along side their anticipated neon colours which I am dying to try out. I asked for these for my birthday, and Holly Arabella's review on them a day before my birthday made me want them even more! These cute bottles of baby colours are perfect for spring and could not wait to get my hands on them. I've only had 3 Models Own polishes in the past so I wasn't sure how these would turn out. These look gorgeous but have their faults. One thing that makes these colours stand out above the rest - They're scented. 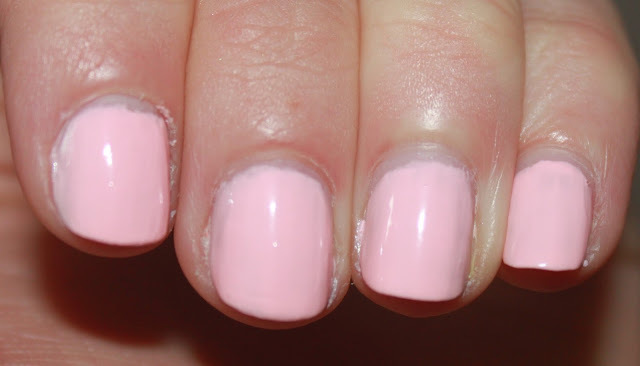 Strawberry Tart is a pretty baby pink which has a very slight coral tone to it to warm up the pink a bit. It had a subtle sweet strawberry scent which wasn't overly noticeable and faded throughout the day. The formula was streaky and not very pigmented. It needed a whole bunch of thin coats, or 2 or 3 thick coats like I've done. 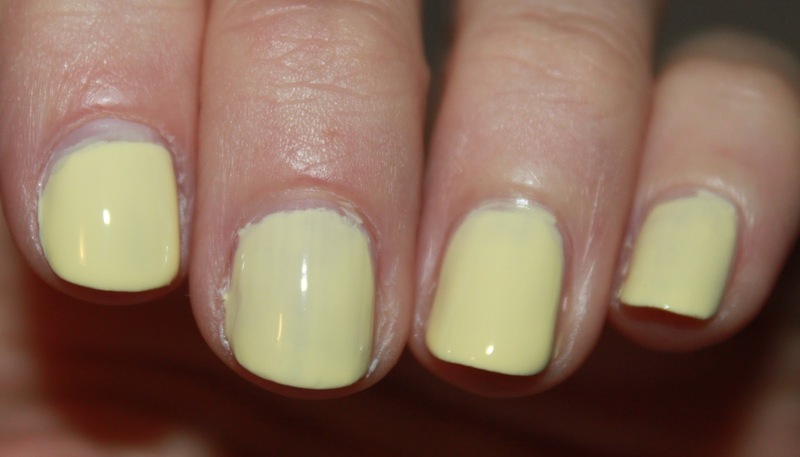 I love Banana Split, a subtle pastel pale yellow which I can't get enough of. This shade and Blueberry Muffin I found were the ones with the most streaky formula. Again it needs a few thick layers, or many thin ones. The scent of this one again is very sweet and is slightly stronger than Strawberry Tart. This spring I've been wearing a lot of different shades of green as I feel that it's fresh and a colour I usually shy from. Apple Pie is no exception and I've loved wearing this on my nails. There's mint colours everywhere this season and this fits right in. Even Lady Gaga predicted mint to be this season's colour! I felt that this sweet scent lasted the longest and I could smell it at the end of the day. This isn't probably the least sweetest smell of the lot and I really like how long it lasts. Again this is a streaky formula and needs a few coats. Blueberry Muffin is another one I love! The name is adorable and the scent really does remind me of Blueberry Muffins. As you can see slightly the overall look on my nails is slightly streaky and probably even more so than Banana Split. Grape Juice is my favourite from the collection. It's pale yet bright lavender colour is so eye catching and is perfect for Spring. It has a vague sweet grape smell to it too which is pleasent. This has the best formula too and glides on quite well and needs the least amounts of coats. They chip rather easily too, which can be a bit of a pain. 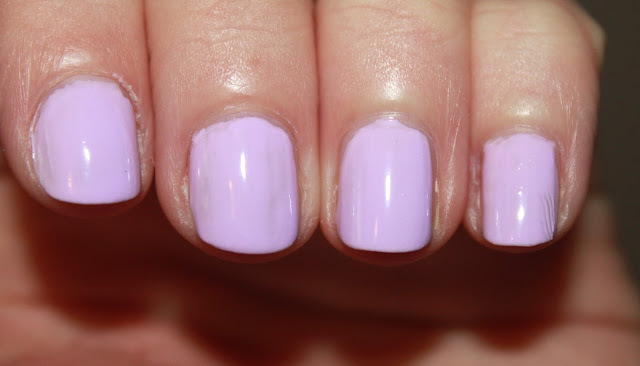 But for a day with pastel spring nails with a slight scent, why not?! So what's your spring colour? For £5 each from Boots you can brighten up your nail varnish collection at a reasonable price. Overall the formulation isn't great, but the fact that they're scented is just to adorable to pass up! What's your favourite? Love all of the colours, i'm after Blueberry Muffin. I honestly can't decide which one is my favourite - they're all so beautiful! All such gorgeous colours with scrumptious names! I love the look of Apple Pie! Great review I have just brought the a neon colour to try want to get these next. I bought Apple Pie quite recently, it's such a perfect colour for the spring! I'm a hugggeee Models Own polish fan but I have to say, the pigmentation on some of them hasn't been all that great recently, definitely in need of a few more coats. Still lovely colours though!